Mirabai was born in Philadelphia and moved to San Francisco in 1998. 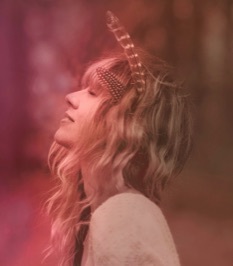 She is trained in jazz and folk, and found the bhakti path in 2002. 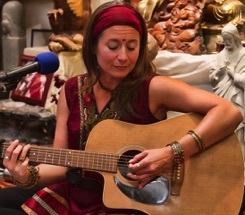 Mirabai has studied Indian music and kirtan with Jai Uttall, Sargam Shah and Krishna Das. 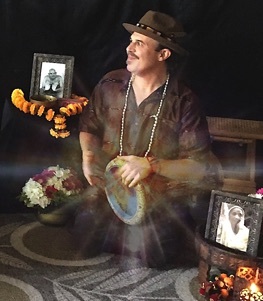 Timothy Surya Das is best-known for his powerfully moving and profoundly healing CD, Harmonic Dreams as well as his work as a sound healer by infusing Reiki (healing energy) into his music, many report a greater sense of healing and wholeness after listening. All of his music is composed to heal the listener at every level of their being - mental, physical and emotional. 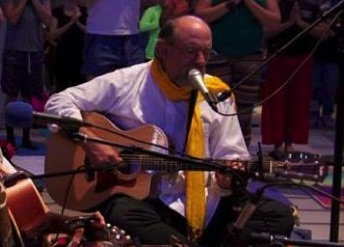 Perry Dexter has played music for yoga for over ten years. 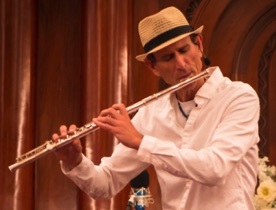 He draws from the uplifting music of many spiritual traditions, including Sikh, Hindu, Buddhist and even American gospel. His voice is a soothing baritone backed by gentle guitar work. His sacred songs and calming vocals are likened to Krishna Das or Leonard Cohen, but are distinctly his own and genuinely relaxing. 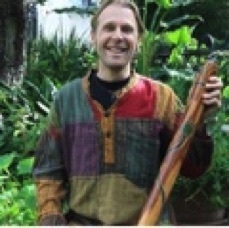 Robin O'Brien, singer, composer and sound healer, is a graduate of the Berklee College of Music. A massage practitioner for over 20 years, Robin is a Registered Nurse with certification in psychosomatic bodywork. For seven years, she sang at the bedside of hospice clients for Memorial Hospice in Santa Rosa. 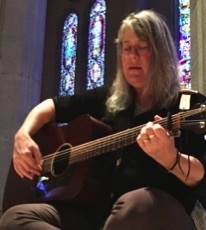 Robin has recorded several albums of original music, and leads sacred song circles in the North Bay. She has performed for Veriditas at Chartres Cathedral in France, and sings regularly for Yoga on the Labyrinth at Grace Cathedral. She is core staff at the annual Advent retreat at Bishop's Ranch, where she leads a call and response meditation employing the music of Hildegard of Bingen. She directs the monthly Taizé program at her home church, Church of the Incarnation in Santa Rosa.